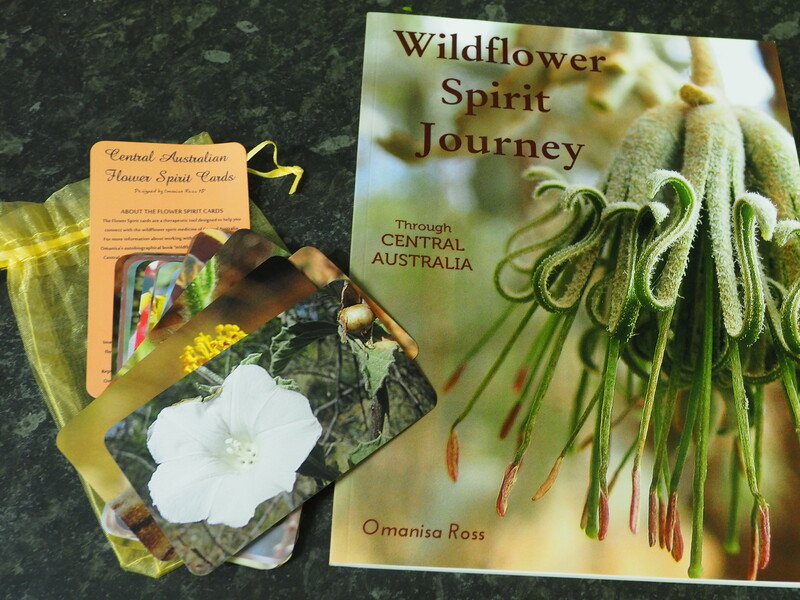 “Wildflower Spirit Journey Through Central Australia” is the diary of Omanisa’s trek through country, memory and spirit, written as an ode to her pioneering grandmother, who published her own book about wildflowers. Omanisa explores the spirit medicine of 26 Central Australian wildflowers, beautifully depicted in full-colour photography. With her Grandmother’s death already triggering a past life review, being back in the country she had explored with her Grandmother as a child made the experience all the more intense. As always, Om reached out to nature for support, asking the flower spirits to help her heal old wounds resurfacing from childhood. This book talks about Om’s journey through land and memory, and the healing she received from each flower spirit she met along the way. Coming from a family of wildflower photographers, one of the ways Om connects with flowers is via macro photography. She is fascinated with the imagery of flowers, and the way these images, via colour therapy and sacred geometry, can have a therapeutic effect on the mind-body or aura. Each flower is like a doorway into healing, a gateway into the healing intelligence of nature. By reconnecting with nature, we reconnect with our wholeness. Another way Omanisa connects with the spirit of the flowers is via meditation and the written word; going into trance and pouring the experience forth onto the page. Omanisa’s book “Wildflower Spirit Journey” is an amalgam of the diary she kept on her trek, the photographs she took and the shamanic healing journeys she went on to consciously access information about the wisdom each flower spirit had to share. Om includes a ‘how to’ section for healers and nature lovers who might want to learn more about the connection process. There were many more flowers Omanisa met on this journey that she hasn’t written about, most of which are featured here on this website, along with extra photographs of the land she and her husband travelled through.